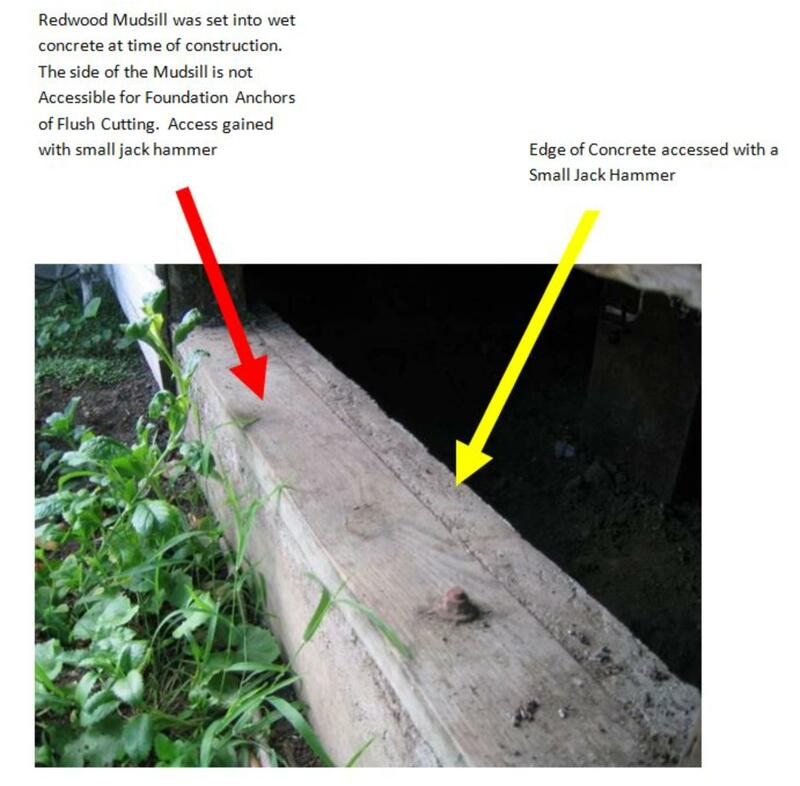 When foundations are replaced or if the mudsill is embedded into the concrete at time of construction, it is very difficult to nail the plywood to the mudsill. It is also quite common for the mudsill to be covered with concrete making bolt installation difficult. The best way to break out the concrete that is covering the 2-inch edge of the mudsill is with an air hammer assuming the mudsill is not too deeply embedded.